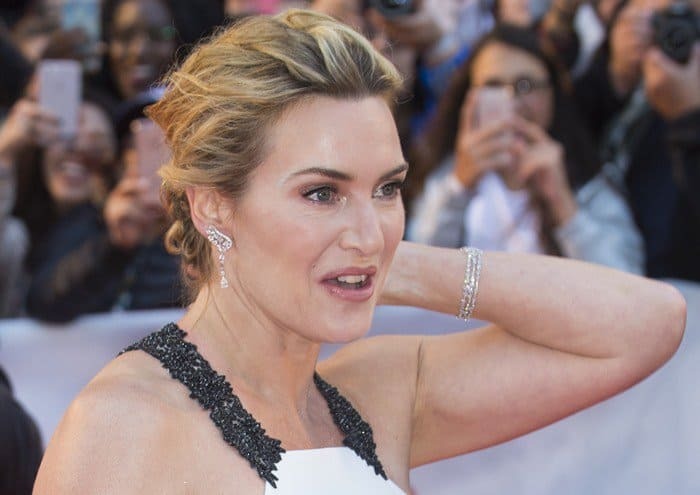 Kate Winslet showed off her hourglass figure in a white and black gown as she attended the premiere of ‘The Mountain Between Us’ on Sunday afternoon at the Roy Thomson Hall in Toronto, Canada. 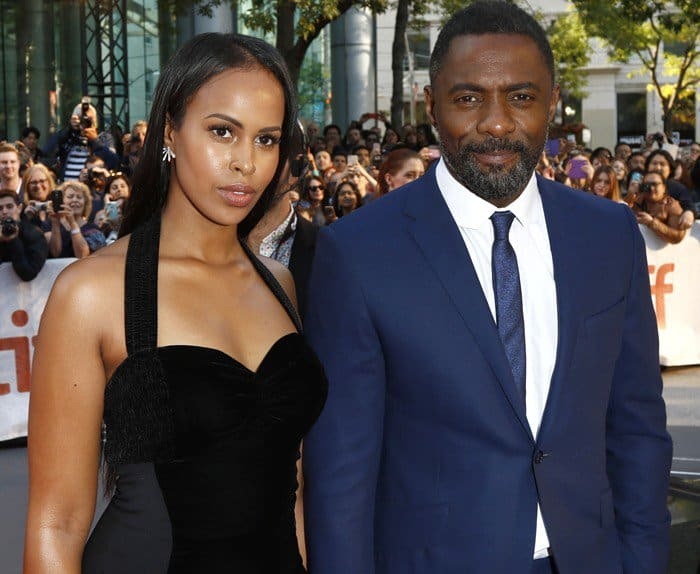 She was joined on the red carpet by her co-star Idris Elba who arrived holding hands with beauty queen girlfriend Sabrina Dhowre. The 41-year-old Oscar-winning actress stunned in a custom white dress with black lace detailing from Badgley Mischka featuring a black brocade halterneck and fitted shape. She accessorized with De Beers jewelry and wore her blonde tresses in a sophisticated up do.